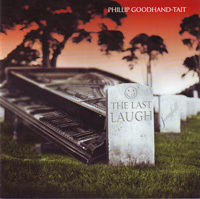 Singer/Songwriter Phillip Goodhand-Tait has penned songs for Roger Daltrey, Gene Pitney, Dennis Waterman, Mary O’Hara and many others. He also wrote the film scores for Universal Soldier and Akenfield – both now cult classics. Over the years he has worked and toured with Elton John, Lou Reed, Thin Lizzy, 10cc, Bob Marley, Joni Mitchell, Deep Purple, Johnny “Guitar” Watson and rock’n’roll legend Larry Williams. Although there are some bittersweet songs on the album, it is far from gloomy with tracks like, I Remember Comedy (When it Made me Laugh), Old Fool’s in Love Again and Paradise Grill (the world’s first song about a crematorium!) and, of course, at last, Phillip’s version of Bringing on Back the Good Times. 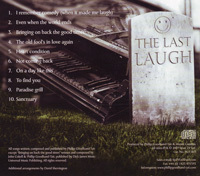 The Last Laugh is the work of a master songwriter at the height of his powers and shows that the good times live on in our hearts, no matter what our age.